The music of HuDost, the Neo-Folk-World-Rock Ensemble from Montreal and KY, weaves a seamless tapestry of sound that renders tears and laughter in listeners, cultivating the nameless longing that abides somewhere in all our hearts and invoking total celebration. HuDost’s core musicians are Moksha Sommer and Jemal Wade Hines. Having toured the US, Canada, and Europe constantly since April 2006, HuDost has grown and expanded, travelled rocky and glorious terrain and marveled at all they can learn and explore. Moksha and Jemal Wade, in this time have grown as artists, as seekers, as a couple and as a family. In 2013 their amazing son was brought into the world. Since 2015 they have also been highly engaged activists, doing advocacy work as KY Congressional District Representatives for ONE (a non-profit organization working to end extreme poverty and, specifically, the sexism of poverty). HuDost is currently in the studio recording a new album and also have a larger project in the works. The new album will be released in 2018. Their last two records were a World Chant ‘Sufi Kirtan’ album as well as a collaborative record with Steve Kilbey of the Australian band The Church with special guest Jon Anderson of YES. Both received rave reviews. On past albums HuDost has worked with Grammy Winner Malcolm Burn (Bob Dylan, Emmylou Harris, Peter Gabriel) and Grammy Winner Oz Fritz (Tom Waits, Bill Laswell, Primus). 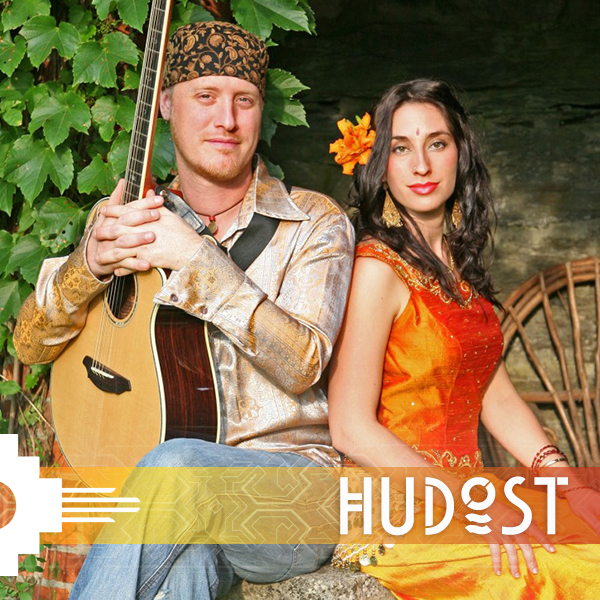 HuDost functions as a duo (with the core musicians Moksha Sommer and Jemal Wade Hines) or as a band, including guest musicians of varying sensibilities and backgrounds, and often including dance in their shows. As a duo their instrumentation includes vocals, harmonium (Indian Pump-Organ), NORD Keys, guitars, Dulcinet, percussion, and a slew of sonic ambient effects. Their music is a rich, eclectic blending of Pop and Rock with traditional Sufi music, Bulgarian, Croatian, Macedonian and Balkan folk music, Farsi, Turkish, Arabic, and Folk. Their sound crosses all borders and barriers, taking the listener on a journey they will never forget.